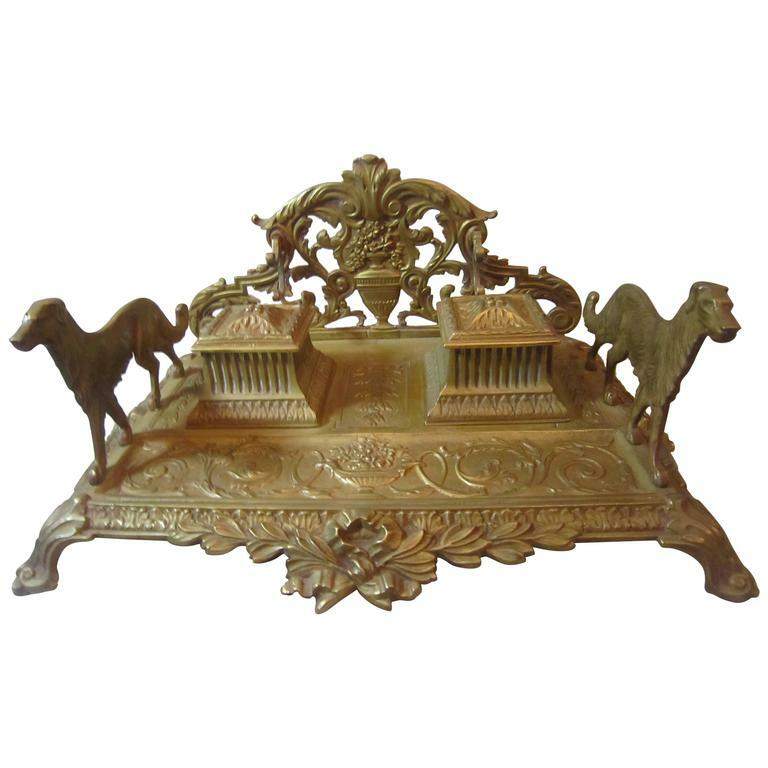 This finely cast detailed inkwell is the perfect addition to your elegant desk. It has the two original inserts; one of them has a small chip on the rim. Normally we don't even get the original inserts. Small chip to the original porcelain insert. 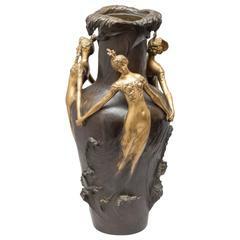 French Louis XV style (19th century) bronze double inkwell with trophy caps and cupid playing the cello on rectangular white onyx base. A charming French gilt bronze inkwell in the form of a dog house with the roof on a hinge to store the ink bottle. 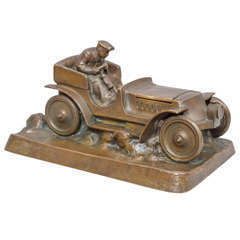 A 19th century Russian novelty bronze inkwell, finely modeled as a bear enclosed behind railings. Russian, circa 1880. Measures: Height 12.5 cm.